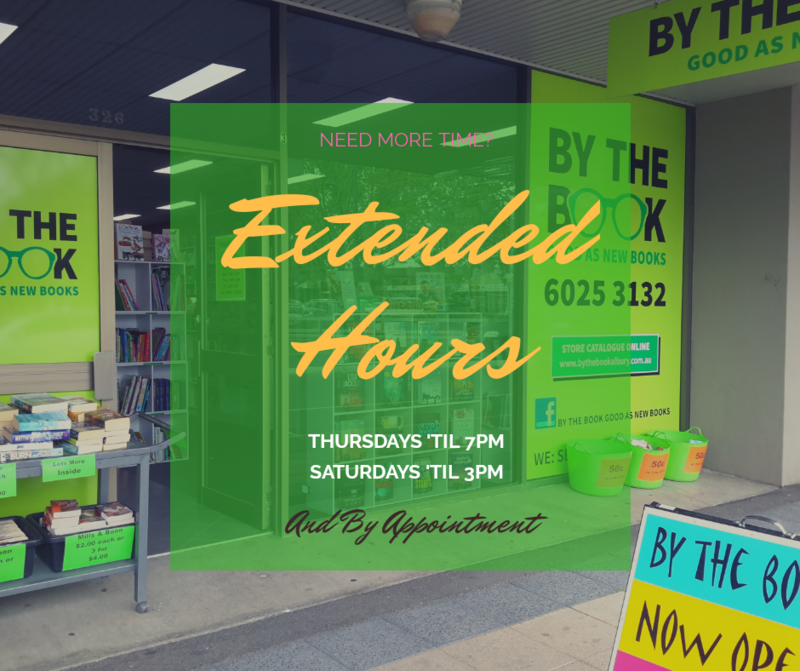 BY THE BOOK, "Good As New Books", has been operating for over 15 years. We have established a huge catalogue of books in many categories. 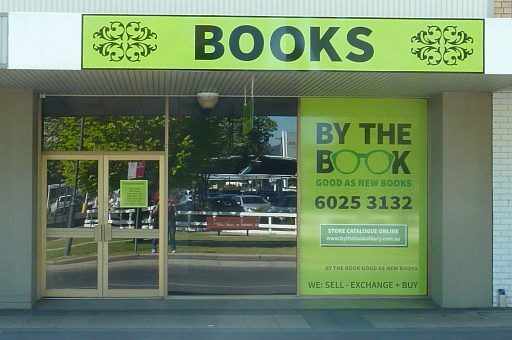 We buy, sell and exchange books of all genres. We also source books that you have not been able to find elsewhere. As we are an established book store, we stock quite a large number of books that are now out of print. So if you’re looking for a book, try us first. On our website you will see our regularly updated in-store book catalogue for you to search. Photos are available at your request. Please feel free to contact us with any enquiries and orders. Do our regular trading hours clash with your busy schedule? Arrange a time just for you, call Jacqui on 0412 930 222 to discuss. What's new at the store? Book covers are for illustrative purposes only. Whilst most books will look exactly like they do in the photos sometimes there will be minor differences. If you have any questions please don't hesistate to contact us. Do our regular trading hours clash with your busy schedule? Arrange a time just for you, call Jacqui on 0412 930 222 to discuss.